With Black Friday just around the corner, ‘tis the season for retail shopping! Holiday teams are vital for your merchandising success, and now is the time for hiring. This season online sales are expected to hit $124 billion, a 15% increase year-over-year according to U.S. 2018 predictions. Despite recent trends of amplified e-shopping, brick-and-mortar stores are expecting a 2% rise in sales. This anticipated increase is great news for retailers and even better for those seeking seasonal work. Having the right team is a powerful way to differentiate yourself this time of year. Here are five of my top recommendations for hiring and onboarding your seasonal team. Ensuring that only the most qualified and professional associates join your team this season can be achieved by thoroughly screening your candidates. Save yourself time by scheduling phone introductions prior to in-person interviews. You may even consider outsourcing this step if the call volume is significant. When you utilize aptitude assessments, data profiles and diverse skill screening strategies, you’re able to select a team who will get up to speed more quickly and efficiently. Taking time to pre-screen is a crucial step when selecting the right pool of candidates to represent your brand. Personality, dependability and trust are key when hiring seasonal employees. Make time to interview candidates in-person or by video to ensure these core qualities shine through. With limited time to nurture holiday hires, their knowledge of your business will most likely be limited. Therefore, likeability matters! Respect, enthusiasm, confidence and poise are attributes you need to see and assess for yourself. If you are hiring for multiple positions, consider hosting group interviews or utilizing video interview technology to save valuable time. When interviewing this season, remember that face time is always the best way to yield your desired hiring outcome. It’s important to understand the full scope of employment laws and how they apply to your workforce when employment is short-term. Company policies apply to seasonal and full-time hires alike, so providing a company handbook and hosting an orientation is essential to proper onboarding practices. State and local guidelines differ regarding sick time, overtime and minimum wage. The variance between all the employment regulations can be confusing. When you work with a talent management firm, they can provide you the compliance assurance and help to avoid unnecessary penalties or fees. Don’t risk it, ask the experts! Every employee, seasonal or not, is a representation of your brand. When you create an inspiring work culture by building positive relationships, you help shape effective brand ambassadors. Be sure to build a positive relationship between the business and your holiday hires. Invite them to company events, staff meetings and team building exercises. Being inclusive can go a long way when meeting or exceeding your talent goals this season. Re-engaging proven performers on a periodic basis can save time and money when it comes to hiring your holiday talent for the following season. Establish a pre-screened pipeline of talent to enhance brand authenticity and optimize your sales goals. When you curate a community of talent, you are able to onboard your holiday team with improved strategy and confidence. 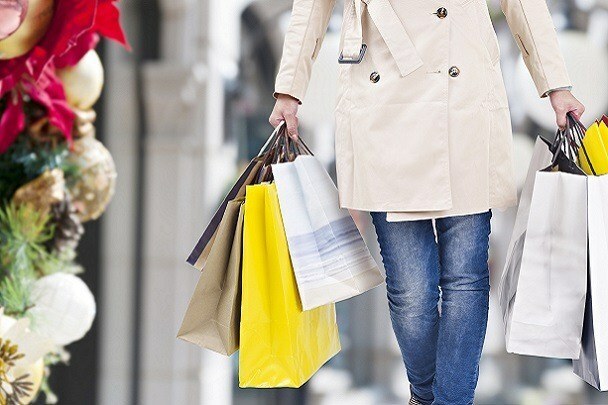 The holiday hustle and bustle can be challenging for retailers. Consider obtaining the services of a talent management company that has a solid track record in the placement and management of seasonal employees.